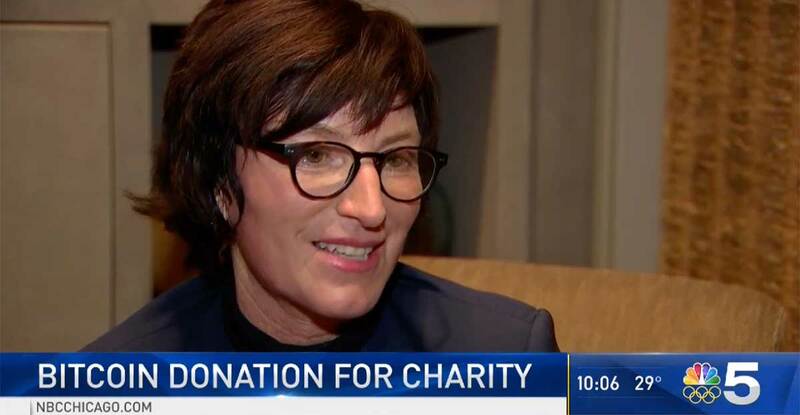 Watch NBC 5 Chicago’s News story and interview of Focus Foundation’s co-founder, Jacolyn Bucksbaum, as she talks Pine and the indescribable feeling it is to know how many children we can help with this generous and anonymous donation! A huge thank you to the Pineapple Fund for their record breaking one-time donation of $1 million worth of Bitcoins. Plenty of people have serious doubts about Bitcoins–but Tuesday night a Chicago family became believers in the digital currency because of a head-spinning windfall that will help kids. Jacolyn Bucksbaum is the still in disbelief mother of Eli, now a strapping 18-year-old high school senior fully capable of keeping up in anything he chooses from skiing to swimming. More than a decade ago his mom co-founded Focus Foundation, a small but determined effort to help her son and one in 500 kids like him born with with X and Y chromosome variations. “Without whatever the treatment I got when I was 11 or 12 years old I don’t know how capable I would be to do those things now,” Eli said. 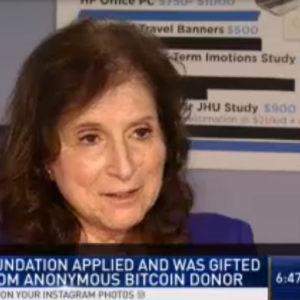 “This person decided in December to give $86 million worth of Bitcoin away to various charities with various missions,” Jacolyn told NBC 5. Three weeks later, “Pine” is the name at the end of this email from the website pineapplefund.org confirming Focus Foundation will will receive an unimaginable windfall to fund the work it does. “We all thought it was a scam,” Bucksbaum said. For Jacolyn it was all so unbelievable. Then she saw the bank statement and believed.